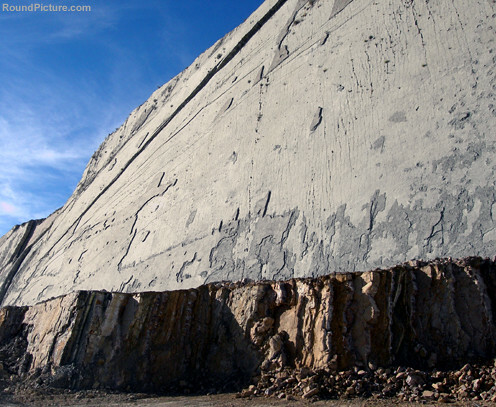 Cal Orck’o is at La Fábrica Nacional de Cemento (FANCESA) cement company’s limestone quarry, 5 – 6 km northeast of Sucre city centre. 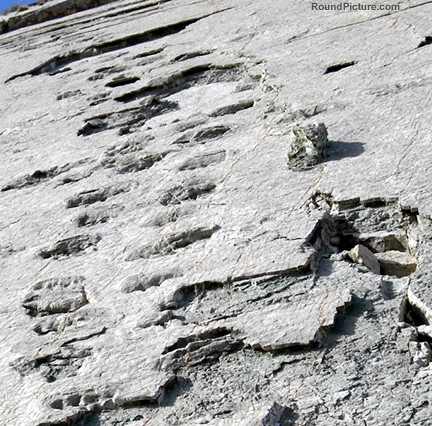 The imposing near-vertical white limestone wall has hundreds of dinosaur footprints from the late Cretaceous period imprinted on it. Some tracks go straight up and some sideways along the wall. Experts believe the wall used to be a lakeside. As I stood there retracing the tracks made by the footprints of different shapes and sizes, the brittle wall crumbled and peeled off bit by bit on its own, eventually to reveal another layer (and more tracks) underneath. Each 10 – 15 cm thickness of the layer represented about 1000 years. 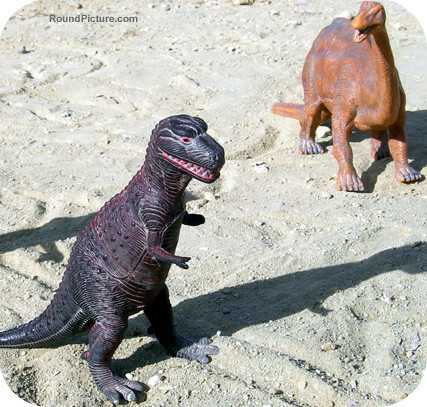 The progress on preserving the site has been slow ever since the footprints were discovered by the quarry workers in October 1994. 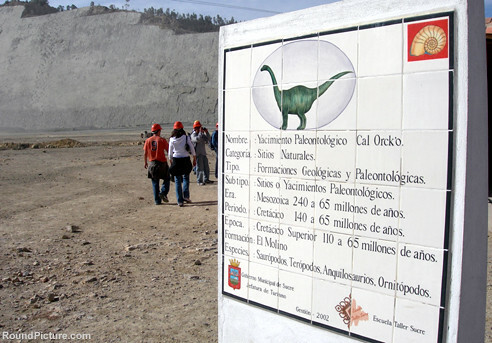 El Parque Cretácico (The Cretaceous Park, A dinosaur theme park) at Cal Orck’o opened its doors to visitors in 2006.